You are here: Home / Printables / New FREE Bullet Journal Monthly Header Printable! 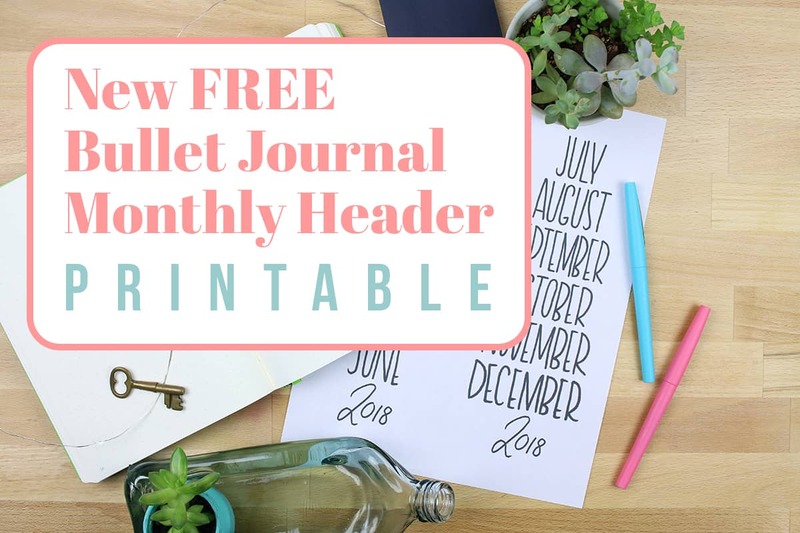 New FREE Bullet Journal Monthly Header Printable! It’s been a while since I’ve released a new bullet journal printable, hasn’t it? Life got busy and before I knew it, ages had gone by since I’ve added a brand new printable to the Fox Den Resource Library. But here we are, and I finally have another just for you. 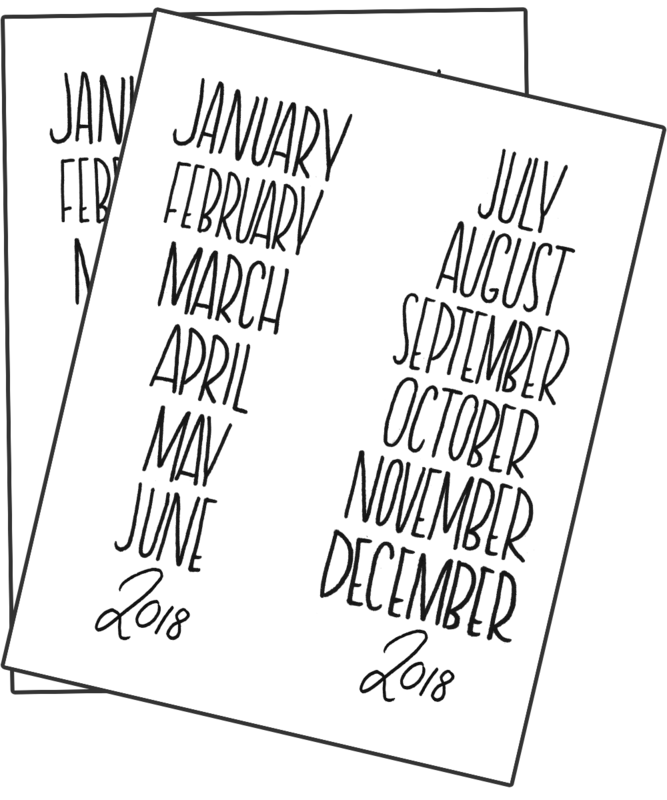 This time around, I thought I would share this super cute bullet journal monthly header printable! All you need to do to grab this bullet journal printable is scroll down and click the picture of the printable. That will redirect you to the Fox Den Resource Library, where you just need to log in to get access to the free monthly printable. Then it’s all yours! Not a member of the Fox Den Resource Library yet? No worries! Just head here and sign up — it’s totally free, and there’s way more than just this one printable in there. There’s plenty of awesome stuff to enjoy that’s exclusively for Fox Den members!! 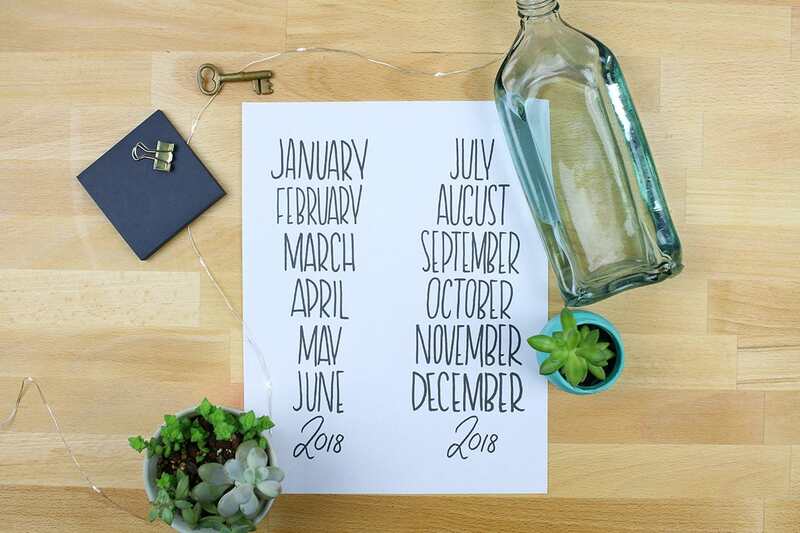 There are a ton of ways for you to use your new monthly header printable. You can simply print it out on regular old computer paper and cut out whatever you need. Print on colorful paper to really kick it up a notch! Or, if you prefer, this monthly header printable was designed to be printed on this Avery label sheet Full Disclosure: We earn a commission if you click this link and make a purchase, at no additional cost to you. . That means you can print your very own stickers at home and put them wherever you want! And they can be used for more than just monthly calendar pages. These monthly headers can be used for budget spreads, a master plan, or even habit trackers! The possibilities are endless, and so are the number of times you can print it! Click the image below or head to this link to sign up to the Fox Den Resource Library and download your bullet journal monthly headers printable!